Davide is not available for comment. He’s got to catch a flight; he’s rushing to the studio; the stage manager is frantically hurrying him into the booth; he’s meeting to discuss plans for his labels…or any of the other myriad reasons why Davide feels like he hasn’t slept, eaten or stopped running for what seems like his whole life. Born in Siena, raised in Naples, it took a trip to London for Davide to finally discover electronic music. Wooed by the mood and sound of the British scene, he returned to Naples flush with energy, excitement and a knowing that this new calling would consume him. Davide immersed himself in this world in every conceivable way. In 1999 he began studying at the Naples’ school of sound engineering, tinkering with his first productions, promoting techno events, and finally performing. His first releases on Primate Records and Conform were a cadence of his arrival and showcased the young artist’s steadfast style. Added to that, you have to take into account the labels which Davide founded and still curatestoday – Sketch, Minisketch, Vir, 500, Titbit and Hideout. 2012 sees the start of Davide’s latest innovative project. This and That Lab will be a unique fusion of label and think tank combining music, art and culture used as a platform for Davide and other like minded artists to develop creative projects in music, visual art, design, fashion and writing. 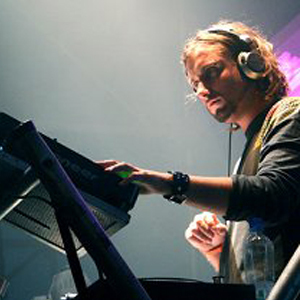 In addition to his genre-defining works, Davide continues to inspire and ignite dancefloors worldwide. Whether it be at Circoloco, where he has been a resident since 2007, Womb, Berghain, D.Edge, or any other marquee venue, Davide plays with an unequalled funk and excitement. His signature sets, revered by the masses and peers alike, do a double duty in guarding our much-loved traditions while constantly pushing them forward. The realm of possibilities for one of electronic music’s leading lights is endless. Unfortunately, the minutes in the day are not. Davide’s answer is simple – do what you love and make no compromises.